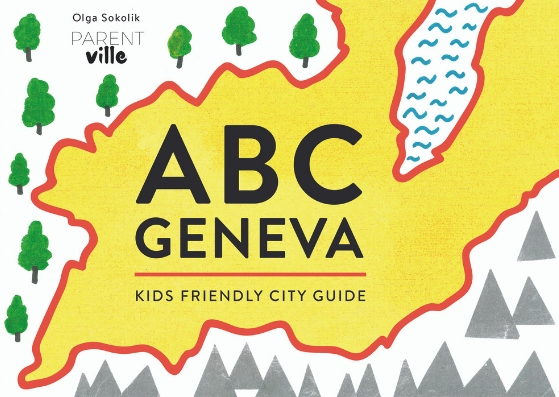 A bilingual city guide for children! 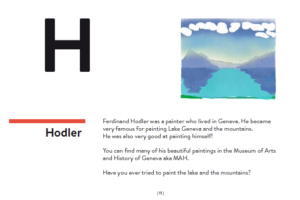 Follow the alphabet and discover Geneva – its places, history, people, and characteristics. 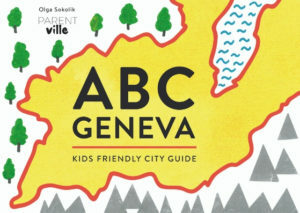 “ABC Geneva” is a unique city guide for children. 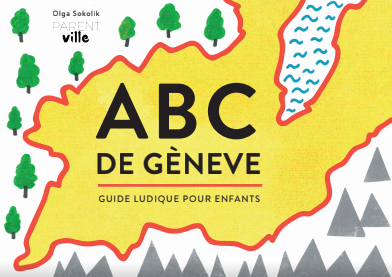 This bilingual (English and French) book, takes children on a journey through the alphabet and Geneva at the same time. 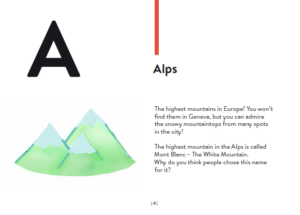 Each letter of the alphabet represents something “Genevan” with a picture and a simple, age-adapted description. 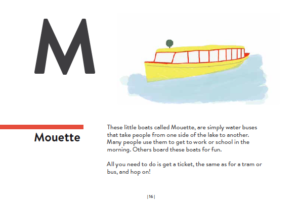 The book combines joyful, simple places (eg zoo, yachts, trains), Geneva landmarks (eg. the Flower Clock, the Jet d’Eau, or the broken chair at Nations), as well as more complex issues (e.g. 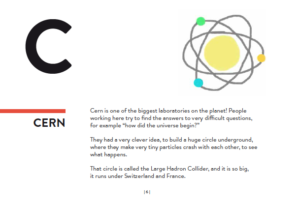 UN, CERN, the international feel of the city), and important people in the history of the canton (eg. Some of the entries end with an open question or a lesson we can learn from the past. It was designed to promote age-adapted conversations with children about serious problems that are also related to the place they call home.